Occasional sports activities constitute a part of my personal life. I enjoy the sweats and heartbeats. Not to mention that these are the source of joy and refreshment, I sometimes find my personal achievements as well. I love running for daily exercises. 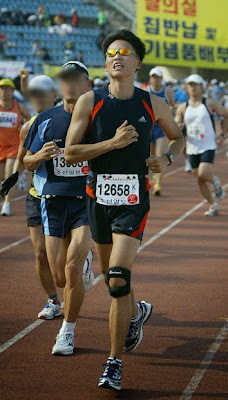 I have completed multiple official marathon races, holding one full record (42.195 km) and six half records (21.0975 km). Picture: A few meters before the finish line after nearly 4 hours of nonstop running. - at Chuncheon Marathon Race 2006. 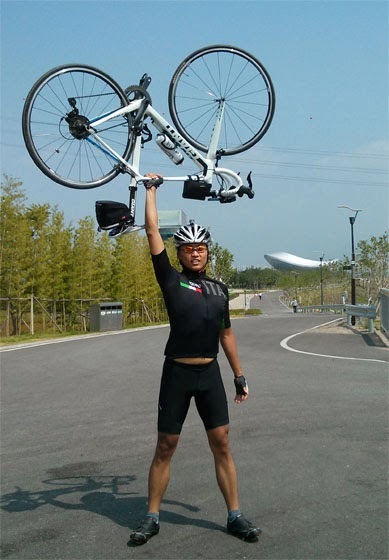 I enjoy road cycling for occasional recreation. I hold a certificate of Korean Cross Country completion (633 km). Picture: Taking a break near the city of Daegu, Korea, in the middle of my cross-country trip from Incheon to Busan. Mountains are my favorite destinations to indulge in Mother Nature. I climbed to the summits of a dozen of mountains over 1000 meters high, including Mt. Fuji in Japan (3776 meters), Mt. Halla in Korea (1950 meters), Mt. Jiri in Korea (1915 meters), and so on. 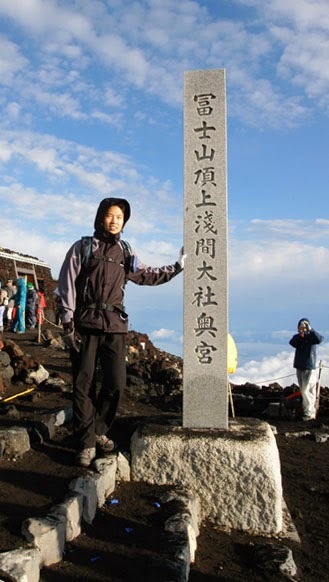 Picture: Standing at the summit of Mt. Fuji in Japan after an overnight climbing. The highest altitude I have ever climbed on foot.